On the auspicious occasion of Janmashtami, the Hindus observe fast and perform special puja. 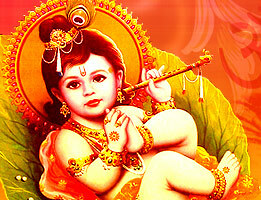 Go through the article to know in detail about Janmashtami Fast. Janmashtami is one of the most significant festivals celebrated with great fervour and joy by the Hindus. This day is commemorated as the birthday of Lord Krishna which falls in the Hindu month of Shravana i.e. in August-September, according to the Gregorian calendar. On this day, people clean their houses, decorate the place of worship by putting fresh flowers, decorative lights and also make beautiful rangolis on the main entrance. They observe fast for the entire day and prepare favourite delicacies of Lord Krishna and at the time of performing puja, they offer these delicacies as prasad to the God. The complete day people sing devotional songs and chant mantras which are there in Bhagavad Gita. In the other words, it can be said that they completely devote themselves on this day in the service of Lord Krishna. Read to know more in detail about the Janmashtami Fast. On this day, the devotees of Lord Krishna observe Nirjal Fast to give honour to the God and also to celebrate the festive occasion of Janmashtami. In this type of fast, people do not take any type of food and not even water for the entire day. The followers of Lord Krishna keep this type of fast to come closer to the divine being. Also, they ask forgiveness for the sins they have committed till the date. At 12 o'clock, at night the ardent followers perform special puja and aarti, and offer prasad to the Lord Krishna. After this, they break their fast by eating the prasad. On the day of Janmashtami, the followers of Lord Krishna also observe Phalahar Fast. In this type of fast, one is allowed to take water, fruits and milk. However, salty food items and cereals are not permitted. The entire day people keep them busy in singing Janmashtami songs and chanting the mantras of Lord Krishna. According to them, this is the best way to make the God contented and to be in close contact with Lord Krishna. Also, they observe this fast to apologise for the mistakes they have done in their life till the time. Wup early in the morning and wear clean or new clothes and take a vow for keeping the fast. Also, mention that which type of fast you have to keep it, either Nirjal or Phalahar. Place the idol of Lord Krishna in a cradle, offer panchamrit which is made of milk, honey, yogurt, ghee and sugar. Then, pour gangajal on the idol and give holy bath to balgopal (infant Lord Krishna). After this, decorate the idol by putting new clothes and jewelleries on the idol of Lord Krishna. 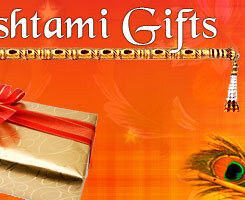 Perform special puja with complete rituals, offer fresh flowers, fruits and sweets to the God and perfrom aarti. Also, offer panchamrit with basil leaves, makkhan (butter) and misri (candy sugar). Sing the songs of Janmashtami and chant the mantras from the Bhagavad Gita.